Merritt BC Canada Things To Do – Mountain Biking! One of my favorite things to do in Merritt, BC Canada that never gets old! 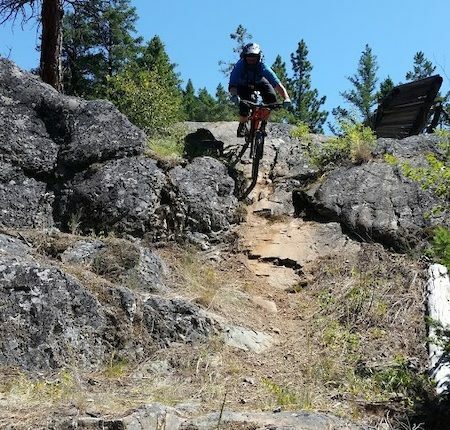 Mountain biking in Merritt can be as steep and gnarly or smooth and flowy for just about anyone from the beginner to the full-on down-hill animal. 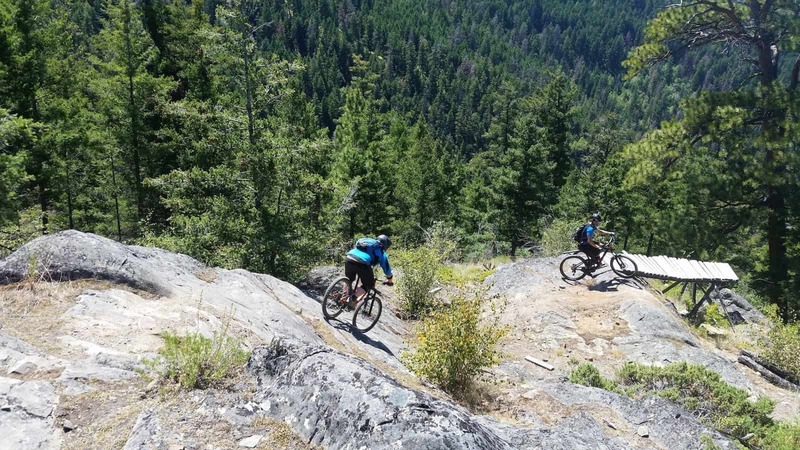 Ridge is the kind of BC trail that has a bit of something for everyone. Getting to the top of Ridge is a substantial climb. It takes the average mountain biker about forty-five minutes to reach the top. Too Much Info is the climb of choice for all of the trails in the lower section of Iron Mountain, and one of the best climbing trails around. The switchbacks are fairly long, with a moderate number of level sections to regroup as you ride. 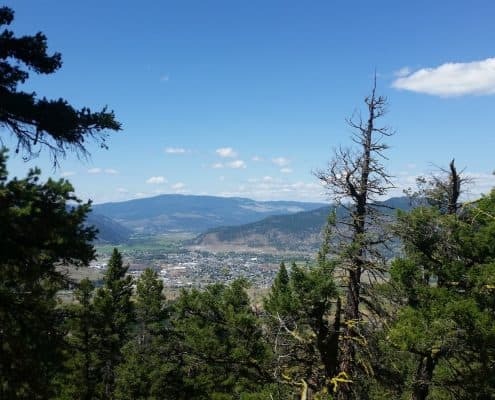 The climb up TMI provides some of Merritt’s best lookout points. The first is atop one of the steeper, short climbing sections that dot Too Much Info. One of the best things to do in Merritt is going for a picnic! This table is a great spot to hang out and enjoy the sunshine while enjoying the view of Swakum Mountain across the valley. 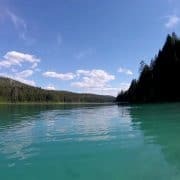 It’s one of the best things to do in Merritt BC Canada! Following that are three more lookouts that provide increasingly panoramic views of Swakum Mountain, the Coutlee Plateau, and the City of Merritt. The lookouts are all located at intersections of TMI and Ridge. Enjoy the sneak peeks of your downhill! Once you’ve completed the switchbacks of TMI, you’re getting close to the top! Three more switchbacks on Lone Pine trail will get you to the Ridge connector. It’s always a tough decision for me: go for the gratification of the connector’s shorter climb, or to push up the rest of Lone Pine to the top of Upper Ridge? Both options are worth the effort, but Upper Ridge adds some pretty fun riding. This option also provides another nice rest spot in the open meadow at the tail end of Lone Pine. The view is great from here! You’ll take in some of the trademark high mountain ranchland of the Nicola Valley. Looking Southwest, you’ll see the tree covered Iron Mountain. This spot is beautiful anytime, but the sunsets are spectacular. Every year at the summer solstice, the local club, Merritt Mountain Biking Association, leads a ride to this spot. It’s worth planning for! After scrambling up from the meadow, along the rocky Southeast switchback of Upper Ridge, you’re finally here! Unless you’re lost! The entrance to Upper Ridge can be missed, so make sure you watch for the left trail fork at the big, lone, pine. Okay, so the first thing you’ll likely notice is a sign. It’s a little menacing with its “experts only” warning, and it is warranted. However, it is still rated as a Black trail, so you be the judge of whether or not you consider yourself an “expert”. Upper Ridge doesn’t waste any time! Right off you are rolling down fairly steep and jagged rocky sections, with some nice flowy singletrack mixed in. This goes on for a while, with a few sections requiring a pedal here and there. Soon you’ll reach another foreboding sign. In my experience, this is the one to take the most notice of. Again, whether or not you have to be an expert to ride this section is at your discretion. You’ll soon meet an off camber rock slab, after crossing a short bridge/rocky section. This slab is intimidating and I have opted to take the ride around to the right on more than one occasion. It’s the “off camber” that makes it intimidating (not to mention the drop jump ramp at its base that appears to land in the middle of a stand of trees). On a dry day with at least one of your friends to encourage you, the slab can be cleaned. Just watch this video from Dangerousdave to see how easy it is! He chose the ramp, which I can’t recommend, never having had the guts to attempt it. I take the slab and instead of sticking to the line leading to the ramp, there is a rollover to the right that, although a bit sketchy in its own right, has what seems to be more forgiving consequences in the event of rider failure. Now it’s smooth sailing, well for the most part. You’ll get lots of the yummy flow that follows the slab/ramp in Dangerousdave’s video, plus a few more jagged rock rollovers, one of which ends with a near 90 degree turn after navigating a techy root. To see what’s in store of things to do in Merritt BC Canada, check out this video by Flarix17., for a look at all those rocks and curves, down to the finish at the former Info Centre parking lot. 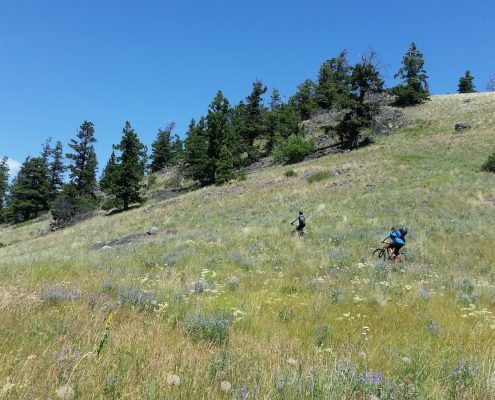 Mountain biking Ridge is one of my favorite things to do in Merritt BC Canada. 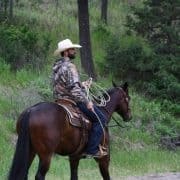 There are many others that I think represent the diversity of terrain and riding style in the Merritt area. These trails were built by passionate mountain bikers who were so jazzed by the new sport of mountain biking in the 1990’s that it seems like they must have spent time doing nothing else! Some of them still live here and ride the trails, but many have moved on. 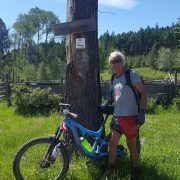 Since moving to Merritt in 2013 and opening Breathe Bikes, I have met and ridden with a few of the trail builders that first carved out beauties like Ridge. I hope I’ve done at least a passable job of showing them how much I appreciate their work. If I haven’t and you’re reading this, please accept my many thanks! I love bikes. They're efficient, carbon-neutral transportation that is fun and healthy--what more could you ask! 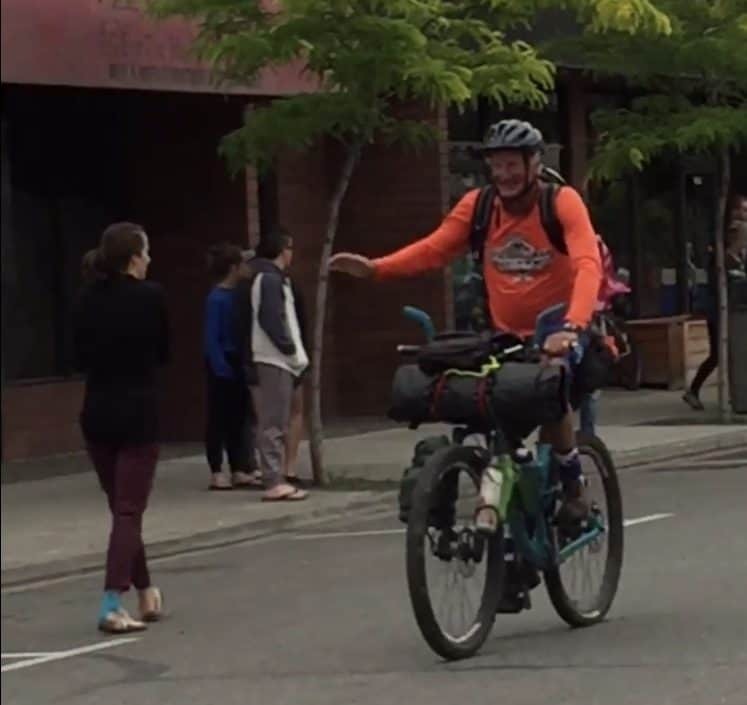 I also love fixing bikes and helping people share the bike-love, so I guess I'm pretty lucky to live in Merritt where the biking is amazing and to own a bike shop is just about as good as it gets for a "job", in my book. https://experiencenicolavalley.com/wp-content/uploads/2018/10/ridge1.jpg 900 1600 Travis Fehr https://experiencenicolavalley.com/wp-content/uploads/2018/05/merrit-nicola-logo-01-300x254.png Travis Fehr2018-11-03 05:54:082019-02-21 08:43:59Merritt BC Canada Things To Do - Mountain Biking! Inspiring Nicola Valley Mountain Biker!